One is from philosophy, one from theology. Each is an antidote to the popular idea that we humans are just annoying and insignificant growths on a small and remote rock. Look at the people on the bus around you. Tattooed? Blue-rinsed? Unsavoury politics? Also precious. Cosmically significant. No, really. Then look at your church if you attend one. Comically insignificant or cosmically significant? Or both? Read on. This says: through the people on the bus around (and others) the soulless, material Universe has developed, or been given, a soul. Quite cool. And this says: The little Christian communities of the world, a couple of million of them, a speckling in the human species, are somehow the link between Creation and re-Creation. We carry in us the first streaks of eternity’s dawn. In the midst of all our poverty. 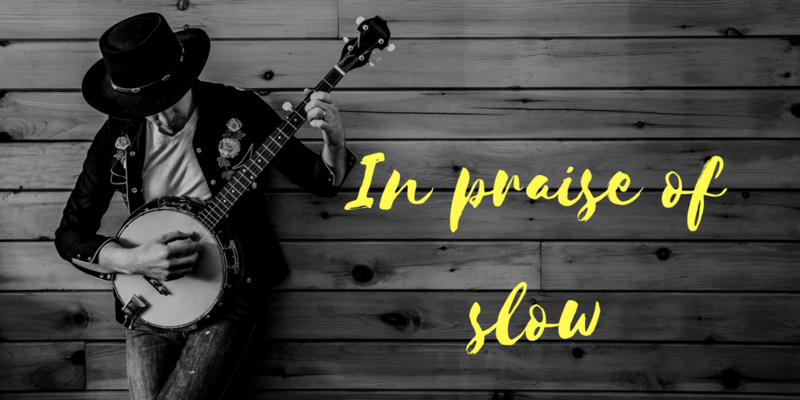 My monthly review of a wonderful book for those of us navigating the slowmission space between faith and doubt. Enjoyable, brief ramble from the former to the probably final state of philosopher Antony Flew’s thinking, particularly about God, and including how he changed his mind from atheism to Deism. It is bookended by a lengthy introduction and an appendix by the actual writer of the book, Roy Abraham Varghese, and another by the biblical scholar of the hour, Tom, or NT, Wright. Flew took care to write, and personally sign, his own introduction. The ‘pilgrimage of reason’ soundbite could not be more perfectly chosen to delight and infuriate in equal measure. Actually, the book is clear that Flew became a Deist, and never stopped personally rejecting all the received religions. He didn’t believe in an afterlife. He thought Christianity was the best available religion, but he didn’t claim to embrace it, despite the admittedly gorgeous scholarship of N T Wright. All this is in the book. It’s nice to find good atheist commentators who recognize this, and who agree with the broadsheet obituaries of Flew, not least in the New York Times which put some journalistic resource into investigating the circumstances of the book. Flew had his marbles and after a lifetime of brilliant atheist philosophical discourse, took to believing that the universe was created by an infinite, immutable, omnipotent, First Cause. Flew’s widow agreed that that was his position. The jeers and hoots coming from the Theist side may be in bad taste, but perhaps we should be allowed our little moment of fun. Remember, we also have to put up with Creationists and Republicans, and sometimes even have to call them ‘brother’. “I think of a person I haven’t seen or thought of for years, and ten minutes later I see her crossing the street. I turn on the radio to hear a voice reading the biblical story of Jael, which is the story that I have spent the morning writing about. A car passes me on the road, and its license plate consists of my wife’s and my initials side by side. When you tell people stories like that, their usual reaction is to laugh. One wonders why. Does this resonate with you? Let us know! A colourful life is an act of worship. Discuss. I found myself wondering the other day why God made a colourful Universe rather than making do with black-and-white one, which would be much cheaper and more functional. For example, making new humans out of pre-existing humans could be vastly streamlined. All you really need do is zip together together two zygotes. How hard is that? A bit of gene-splicing in a test-tube. You could dispense with massive inefficiencies: coyness, vulnerability, dating, conversations, misunderstandings, flowers, meals, presents, inflated wedding costs, awkward honeymoons and much else. Yet God seems stubbornly set in his massively inefficient ways. He has, it seems, chosen a slow and colourful (to say the least) option for human reproduction, despite a simple fix being available given a decent lab and the political will. Then I thought of how many criticisms of the Christian faith, and especially of us evangelicals, really boil down to aesthetics. Think of Christians in literature: sour-faced, pleasure-hating, ugly, dull, unimaginative, hard and humourless. There are reasons. A self-indulgent pursuit of ornateness and fussiness can be a form of greed, a worship of idols. We don’t want that. But colour can also be a sign of love and joy, even a mark of the Holy Spirit. And God is the prime culprit when it comes to littering creation with needless beauty. Next time I tread on a leaf which has been bronzed by a season in the sun, piped with frost, blown carelessly from a heap, ridiculously lovely, satisfyingly crunchy, yet which is is basically a unit for converting photons into fructose, I ought to remember. In search of a word as good as ‘lunch’. On my desk I have words cemented together in monster monologues like communist-era apartment blocks, flat and impenetrable, not for humans. I have ugly words (maximised) and phrases that should never have been born (first and foremost) crawling out of my piled-up papers like cockroaches. I never seem to meet the subtle, the pert, the playful, the resonant-with-life words. (Lunch. Hug. Wry. Fragrant. Squidgy.) Instead, alarmingly, the banal presses in, all around. “To me,” writes one earnest contributor, “Life is a journey.” Perhaps this will be helpful to your readers. A November 2015 survey asked British people for their response to being at the receiving end of a conversation about Jesus from a practising Christian. As well as leading us to a grudging admiration for the independence of thought and scepticism of the average Brit, what else can this teach us? Perhaps the need to be beguiling, not direct, to give people a sniff, not a verse, to bide our time. Some of us take a long time to be woken in the mornings. Where in your sickness is the meeting place between really wanting and quietly knowing? Invest there. I’ve done time in Addenbrooke’s isolation ward in Cambridge (mysterious tropical diseases); Intensive Care (both Addenbrooke’s and nearby Papworth); and the high dependency unit at the Heart Hospital in London. And that’s just counting the wards with one-on-one, high intensity, or barrier nursing, not the ordinary wards for the merely tediously sick. Between 2009 and 2013, I nearly died three times. I’ve met loads of people who have faced much worse, and I am humbled by their courage. What I have to say is nothing special. I felt panic and fear and I still do sometimes. There is a sort of detachment as your life fades away. When my heart stopped and the crash team started electrocuting me, which hurts a lot, I remember still being me. There was still a me in there, despite the crowd around me, and the draining oxygen, and the deteriorating consciousness. Unscientific but interesting. It helps you sort out what you want. I have spent months convalescing, with my wife kindly trashing all my emails. It is wonderful. I realized that many parts of my career were not really worth the bother, and I’ve been able to refocus since. Take charge. I found I wanted just two things: my family, and my writing. I also found (a) I wanted them so much and (b) I was confident I was going to get them back, and see good days again. At the time I had an illness that kills 70% of those it infects, even in Western Intensive Care units. This is worse than getting Ebola. Yet I was so sure I was going to live that I was determined not to die. I think that’s key in chronic illness. Not only, ‘what you really really want?‘ but ‘what are you confident you will receive?‘ Some people are desperate to live but don’t think they will (and they don’t). Other people are oddly confident in something — for example that will see their daughter’s graduation. And they do. Their faith heals them. What’s God got in his hands for you? Where in your sickness is the meeting place between really wanting and quietly knowing? Invest in that place, I would suggest. And if, deep down, you know you’re going to die, take charge of that too. Don’t let people soft-soap you. The love of others is astonishing. My family were like this, as were others, including some of the medical staff. I still find it hard to think about that; I do not have the capacity for it; like staring into the sun. My Christian faith helped. I am a Christian and in the happy position, irritating to many people, of being convinced that God loves me. In our dark times, I found myself exposed to the relentless goodness of God. He prepares a table for me in the midst of my enemies. Blessed are the broken. Nothing can separate me from the love of God. He is my friend and it will be all right. That’s a good lesson. Six weeks after I left hospital I started writing this book, about how the Christian faith worked for me in good times and bad. To me, it is one of the best things I’ve written, it has sold a lot of copies–relatively–and people seem to have enjoyed it. It’s available in various formats and you do bulk orders too. I have made it FREE to people with Kindles and other e-readers. Please help yourself, tell your friends, and if you want to help out, perhaps you could write a review. I’ve also put up an audio version free as a set of readings on YouTube. Two years ago I took time out from ministry, having got near breaking point. This was the result of at least 8 years of trying to cover more than one leadership role. My time out enabled me to recognise that I also have an inbuilt tendency to fill gaps rather than let things fall apart. It has been hard to step away and see others struggle because I am no longer picking up pieces. Five months of rest and reflection led me to realise I could not go back to team leadership. One of the problems when you are gifted in different areas and good at multi-tasking is discerning what God wants to do through you. In recent years I had come to recognise that at heart I am a mission mobiliser, encouraging people into the adventure of sharing the gospel cross-culturally. Part of my struggle was that I had become tied to a desk. Also, I knew that as a mission mobiliser with no time or opportunity to develop personal experience of cross-cultural evangelism I was at a severe disadvantage. As I laid this before God I found Him opening up areas of ministry I would never have imagined. Eighteen months on I am in regular contact with refugees and asylum seekers of different nationalities in my city and have a number of Muslim friends. Through my church I am now involved in evangelism and discipleship, primarily with Iranians. Recently I had the joy of helping to baptise six new followers of Jesus! At the same time God has opened up doors of opportunity and influence locally and nationally as a mission mobiliser. Flora’s story echoed with me. Perhaps there are seasons when we have to fill gaps and serve our organisation. But it drains us, and it we know it. Unless gap-filling is our particular gift, there comes a time when we have to get out, rethink, and get into what we love and are good at. For Flora, it took a sabbatical; for me illness. Either way, a good move.